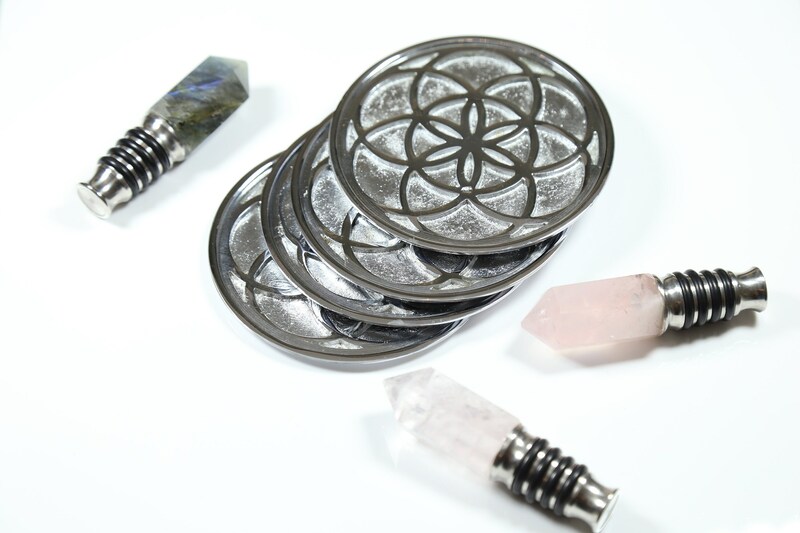 Our stackable Seed of Life Coaster Set has been designed with exact precision according to the harmony, proportion and mathematical laws of sacred geometry. The Seed of Life is a universal symbol of creation and fertility. 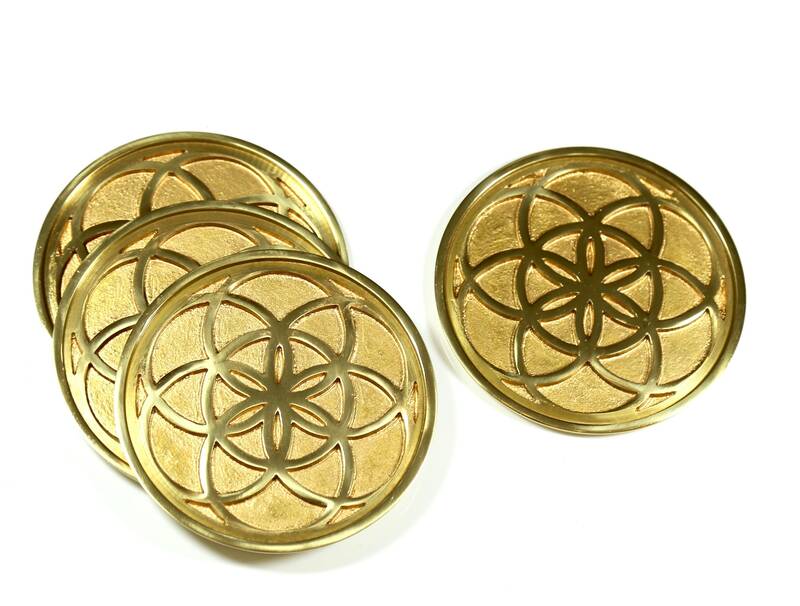 The seed of life pattern is made of seven interlocking circles that represent the seven days in which God created life. The seven circles also represent the chakras, the seven colors of the rainbow and musical scales. 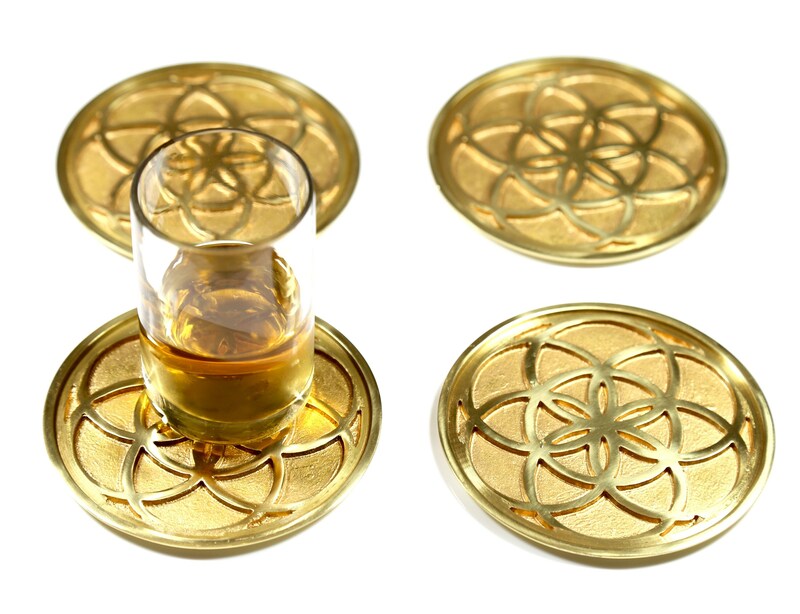 ✦Use as a coaster to "structure" your cup or bottle of water. Dr. Masaru Emoto discovered that water reacts to symbols, words and sound. Water receiving positive messages and intentions creates well-ordered, hexagonal crystals which are better absorbed by our bodies. ✦ Use to decorate your table and home meaningfully. ✦ Give to someone special as as a birthday, anniversary, engagement, housewarming or Christmas gift! 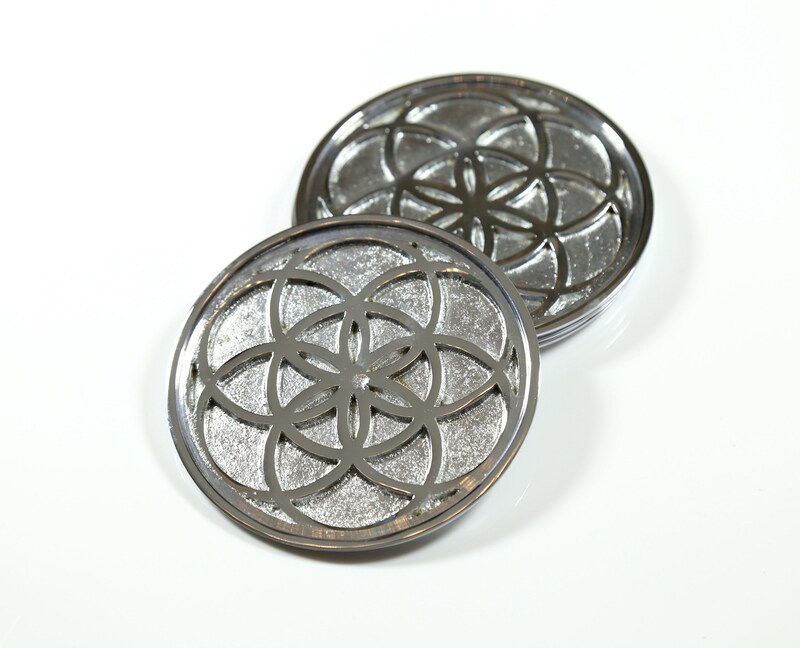 Sacred Geometry observes the way God created the universe according to a geometric plan. Many forms in nature, such as the spiral of the chambered nautilus and the hexagonal cells honeybees create to hold their honey, relate to geometry. 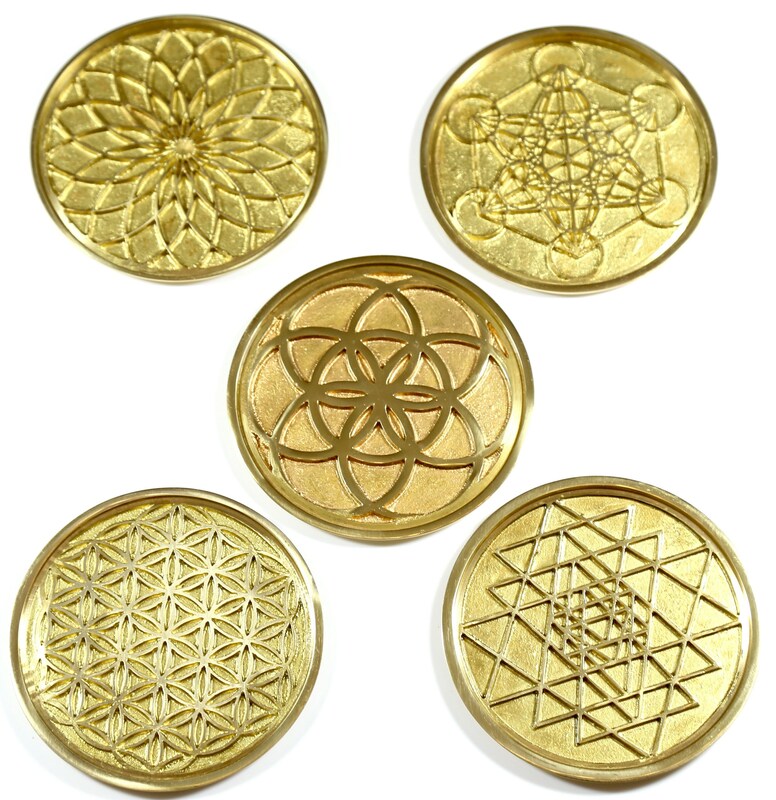 Sacred Geometry patterns can be found all over the world and in many spiritual traditions. © Stephen D. Evans Inc 2014-2018. All Rights Reserved.